It should comes as no surprise that the automotive retailing industry is poised for more market shifts and changes in 2018. One thing dealers can generally count on is that stability is temporary, and the next big change or trend is always right around the corner. From a marketing perspective, that change could manifest in all sorts of ways over the next 12 months, including: increased emphasis on content marketing and distribution, the perfecting of influencer marketing, and the rise of impactful new technologies like augmented and virtual reality, machine learning, and improved analytics and data visualization. In the face of continuous and increasingly disruptive change, what’s left that dealers can really feel secure about? What is your anchor in shifting digital seas? It wouldn’t be accurate to say that customer expectations aren’t also changing over time. However, unlike more unpredictable factors that threaten to upset the apple cart at any time, customer expectations have followed a logical course over the years. You already know the key aspects of what a customer wants from a dealership today: convenience, autonomy, transparency, and personalization. In essence, people are looking for their real-life retail experiences to mirror what happens online. There is no reason to think the trend won’t continue in this direction; indeed, each of the potential marketing changes mentioned reaffirms it. We’ve all heard that Millennials have changed the dealer-customer dynamic. The bigger consideration is that for those generations coming after (and “Generation Z” already has over $40 billion in buying power1), these expectations will be all they have ever known: the status quo. Knowing this, the best way to create your own stability in 2018 is to double down on the importance of the customer experience. As one of the few areas where we can predict with reasonable certainty how trends will continue to evolve, a focus on customer experience makes for a solid foundation for your marketing strategy and dealership as a whole. You know about the changes. Now what are you going to do about them? Like so many other investments that pay off in the long-term, perfecting your customer experience takes an ongoing commitment to process improvement and an enthusiasm for new and innovative solutions. Review dealership processes. Are you as open, informative, and inclusive as the customer wants you to be in Sales, Service, or F&I? Do you emphasize choice and convenience? Anticipate customer needs. Use your customer data, targeted marketing efforts, and market knowledge to know what customers expect. Your customers don’t want to explain and re-explain what it is they need in every interaction. Make processes quicker and less tedious for them and demonstrate that you genuinely care. Invest in continual digital improvement. Digital is the future – and the present. Whatever you’re currently putting towards your website and digital marketing efforts, this is an area that should only continue to grow. The car-buying process isn’t entirely online yet – unless you’re Tesla Motors2 – but with a new generation made up entirely of digital natives, this change seems inevitable. Instability and an evolving market are familiar challenges for automotive retailers, and there’s no reason to think this will change in 2018. Create your own stability by doubling down on process improvement, addressing customer needs, and investing in your digital capabilities, and give yourself an anchor on unpredictable seas. Not sure how to get started? That’s what we’re here for. 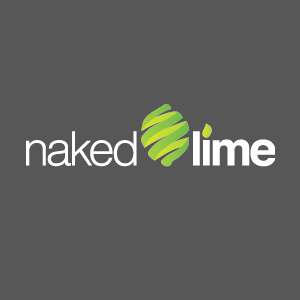 Call 855.NKD.LIME or email info@nakedlime.com to put the experts to work for you.